I’M A CHRISTIAN By Maya Angelou When I say… “I am a Christian” I’m not shouting “I’m clean livin.” I’m whispering “I was lost,” Now I’m found and forgiven. When I say…”I am a Christian” I don’t speak of this with pride. I’m confessing that I stumble and need CHRIST to be my guide. When I say… “I am a Christian” I’m not trying to be strong. I’m professing that I’m weak and need HIS strength to carry on. When I say… “I am a Christian” I’m not bragging of success. I’m admitting I have failed and need God to clean my mess. When I say… “I am a Christian” I’m not claiming to be perfect, My flaws are far too visible but, God believes I am worth it. When I say… “I am a Christian” I still feel the sting of pain, I have my share of heartaches So I call upon His name. When I say… “I am a Christian” I’m not holier than thou, I’m just a simple sinner who received God’s good grace, somehow. Please forgive me – I was informed that Dr Angelou did not write the preceding poem. Rather, it was written by Carol Wimmer. 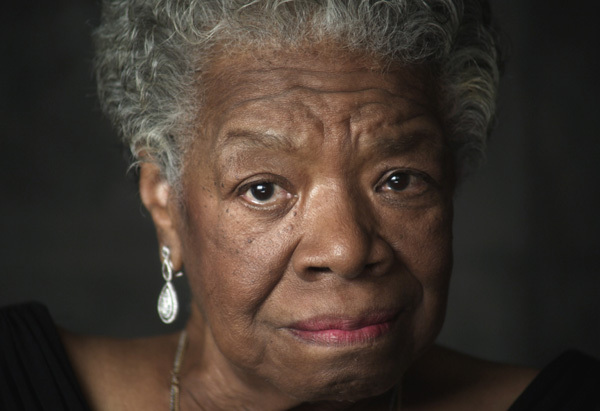 I’m sorry for making this mistake, but would like to honor Dr Angelou, nonetheless. She was an amazing person & her numerous & diverse achievements will be treasured for decades to come. Again, I apologize for my mistake.